Tropical Cyclone Debbie hit the Whitsunday region hard and unfortunately Hamilton Island was not spared from her destructive force. However, due to the resorts’ construction to the highest cyclone safety ratings, her impact on the island has been fairly minimal. The main damage has been to the vegetation and façade of the island, with no significant structural damage to any of the hotels or resorts. Following a concerted clean-up effort, Hamilton Island is looking forward to welcoming its guests back. With the gardens team already planting new greenery all across the island, Hamilton assures guests that the sun is still shining, the island is still beautiful and you will still enjoy a wonderful holiday on Hamilton. Guests have already begun arriving at the resort and those already booked for the month of April are still confirmed to stay. Although not all suites are ready for arrivals, the majority of the resort has been restored to all its glory and any guests affected have been contacted to make alternative arrangements. As a sign of good faith and in appreciation of your patience during this time, all guests staying at Reef View Hotel will receive a bonus $100 resort credit to enjoy during their stay. Although this property has reopened, some bungalows are not yet ready to receive guests. All guests arriving now until 15 May have been contacted to confirm your accommodation or make alternative arrangements. Any guests who are unable to stay in a bungalow as planned will receive a complimentary upgrade to alternative accommodation. As a sign of good faith and in appreciation of your patience during this time, all guests staying at Palm Bungalows will receive a bonus $100 resort credit to enjoy during their stay. The Beach Club is open and fully operational with all guests arriving in April confirmed in their original accommodation. The resort is looking forward to welcoming you on your planned dates to enjoy the island. As a sign of good faith and in appreciation of your patience during this time, all guests staying at Beach Club will receive a bonus $100 resort credit to enjoy during their stay. Due to the number and variety of holiday homes on the island, assessment is taking some time. 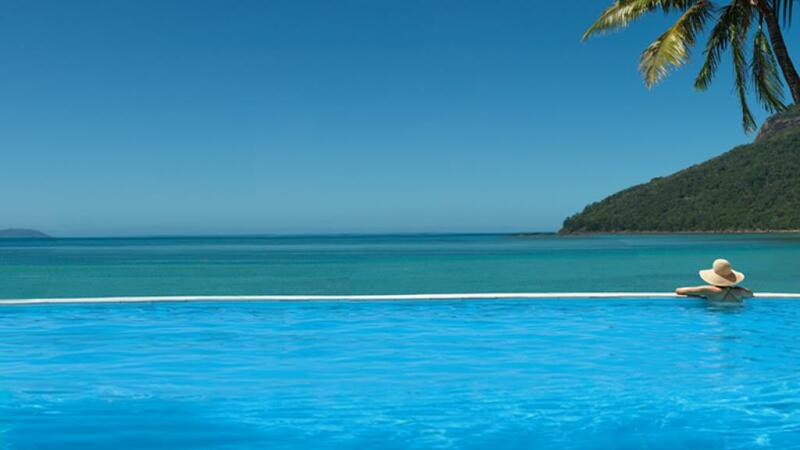 Hamilton Island Holiday Homes is committed to ensuring each property is safe and adequate before accepting guests. As such, guests due to arrive up until 14 April have been contacted and offered alternative hotel accommodation, the opportunity to change your travel dates or the option of cancellation with a full refund. Guests due to arrive after 15 April will also be contacted to confirm or make alternative arrangements. Are Tours to the Reef Affected? Your safety and the health of the Reef is paramount. As such, tour operators are currently assessing the impact on the reef pontoon and moorings at various snorkelling and dive sites on the fringing and outer reef. Further information will be available in the coming days following a detailed assessment. Are Tours to Whitehaven Beach Still Operating? A reduced schedule of tours to Whitehaven Beach is currently operating, with more services to be added as conditions permit. The Tour Desk can assist you with tour availability on specific dates if you are interested in booking a tour. Is the Wildlife Park Open? The Wildlife Park on Hamilton Island is currently closed, with a reopening date expected once the damage has been assessed and the extent of renovations evaluated. We are pleased to report that all the animals are safe, with many able to continue living safely on the island. The koalas are enjoying a holiday at Australia Zoo but will be returned to the island once there is an adequate food source for them. The wildlife keepers will continue to care for the other animals and look forward to welcoming the koalas back home. • Buggies: Available at the regular price of $87 for 24 hours. Is the Clownfish Club Open? The Clownfish Club is operational and child minding services are available normal. All shops and restaurants are operational including IGA online deliveries. Mariners and Romano’s Restaurants will be re-opened by 1 June.